Sacroiliac infection can occur organically or from surgery on or near the SI joint. 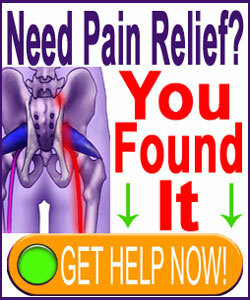 Infection can lead to sacroiliitis and serious pain problems. Infection might also necessitate medical intervention in the form of conservative or invasive care. In the worst case scenarios, infection can lead to permanent joint damage or even death. Infections can be caused by opportunistic bacteria, viruses or parasites. Most infections in the sacroiliac joint are bacterial in nature, but other infectious scenarios are possible in less common circumstances. Any infection within the body can be trouble, but infectious processes deep inside a vital joint structure should always be managed by a qualified medical expert. This essay delves into the occurrence of sacroiliac infection. We will examine the circumstances through which infections might be introduced into the SI joint, as well as the consequences of these infectious processes. Finally, we will explore the best methods of treatment for sacroiliac joint infections. Infection can occur for known or idiopathic reasons. As humans, we are always subjected to invasion by viral, bacterial and parasitic organisms. Most of the time, our natural balance of homeostasis prevents these tiny lifeforms from taking hold and threatening our health. However, in some circumstances, a compromised immune system or other contributory factor might facilitate the growth of an infectious process anywhere in the body, including in or around the sacroiliac joint. Infection that occurs systemically often finds shelter in particular areas of the body in response to vigorous efforts to eliminate the contagion. This is why some forms of infectious organisms might seek to colonize the sacroiliac region. Surgery on the sacroiliac joint itself, or in nearby anatomical regions, such as the hip or lower back, are some of the most common sources of SIJ infection. We see many cases that occur following hip replacement surgery, as well as postoperatively after lumbar spinal procedures. Infection can cause local and systemic risks to health. In the SI joint, infection can lead to inflammation, which is most commonly diagnosed as sacroiliitis. Joint inflammation is usually controllable, but might create lasting structural or functional damage in cases of severe contagion. Infection can also grow locally and spread to surrounding areas of the body, threatening overall health. 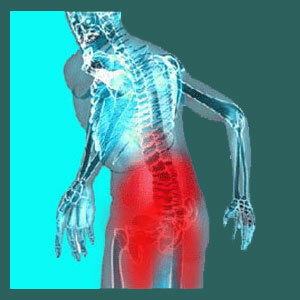 Common sites of infectious spread include the hip joint, the pelvis, the spine, the sciatic nerve and the bloodstream. Systemic infection is always more difficult to effectively cure, since the contagion can take refuge in so many regions of the body. Local symptoms of infection include pain, swelling, heat, redness in or around the joint region. Most patients show no exterior signs of infection, since the contagion resides deep within the anatomy and does not present at skin level. However, some patients might demonstrate skin level symptomology, including the expression of heat, rash or ulceration of the skin. Many infections can be mistaken for sacroiliac degeneration or injury, which is why the possibility for an infectious causation should always be eliminated before performing any type of traditional care on the joint tissue. Infection of the sacroiliac joint should respond well to pharmacological care as long as the type of contagion is correctly established and the infection has not spread elsewhere. Oral antibiotics are a first line of therapy against most types of contagious processes. However, in other cases, doctors might prefer the use of injections directly into the joint region or antibiotics delivered intravenously. For some types of infections, other types of drugs might be used instead of antibiotics, including antiviral medicines. In rare cases, especially following surgery, infection might take refuge deep within the joint and might be difficult to resolve using conservative pharmacological care. This resistance to noninvasive treatment also occurs in patients with compromised immune functionality. In these instances, more drastic methods of care might be utilized, including surgical debridement of the infection using a minimally invasive procedure.